Learn more about the origins of our company and see why South Shore Roofing is the first name to call when you need a roofing company. Instead of leaving your source of shelter in the hands of a faceless group of amateurs and paying your hard-earned money to a fly-by-night company, go with the team that has been providing quality craftsmanship to families and businesses since 2002. South Shore Roofing is a locally owned and operated roofing replacement and repair contractor that has been serving clients all across New England for almost two decades. Each employee and every contractor that works for our company is focused on maintaining our status as a leader in the roofing industry. This begins with a commitment to customer satisfaction. 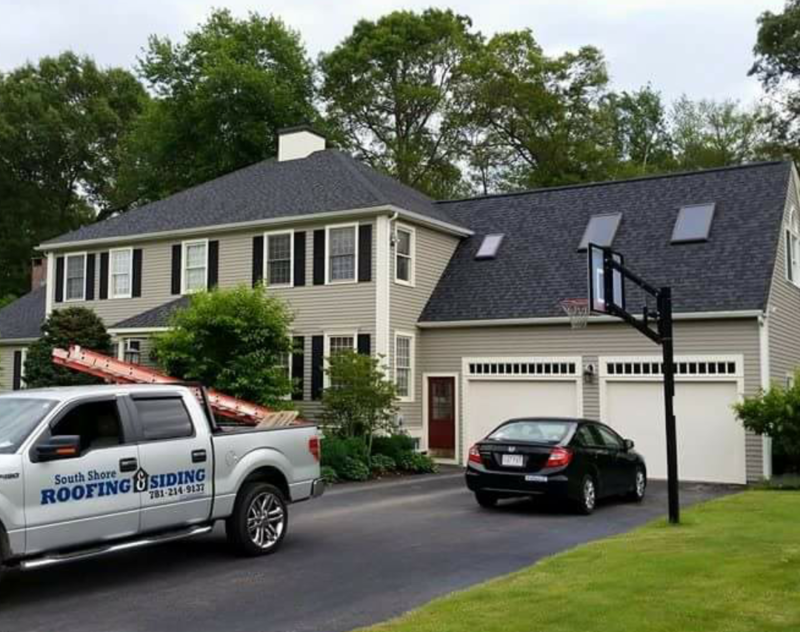 Hire a roofing team that brings the same level of dedication and attention to detail to every project they take on. We are interested in building a lasting relationship with every member of the community that we work in. Our employees live and work in the same neighborhoods we serve every day, so we have an added incentive to do the best job we can. The origins of our organization go back through the years, and our story is just beginning to be told. Our founder, Ronnie Lackey, has the roofing business in his blood. He began his career by working for his father’s roofing company during the summer when he was in high school. Each summer, Ronnie would spend his days up on the rooftops with his father, learning every aspect of the roofing business. This period of time was more than just an experience in on-the-job training. Ronnie took these lessons very seriously and developed a love for the industry. As a local roofing specialist, Ronnie’s father’s business relied on word of mouth marketing. This taught Ronnie to always ensure that the customer was satisfied with the work before considering a job complete. In 2002, Ronnie Lackey decided the time was right to begin his own roofing business. After years of working with his father, he now had the experience and training necessary to run his own roofing company. Ronnie never rests on his laurels, and he is constantly striving to learn everything he can about the latest innovations in roofing technology and design. Ronnie and his team provide quality, local roof repair and roof installation. They are dedicated to helping you protect your home or business from damage and decay. Contact us today to receive a free consultation from a roofing contractor that is focused on your satisfaction. We proudly serve customers in Massachusetts, particularly the South Shore, and accept credit cards and offer financing through a third party. Monday to Friday, 7:00a.m. - 5:00p.m.